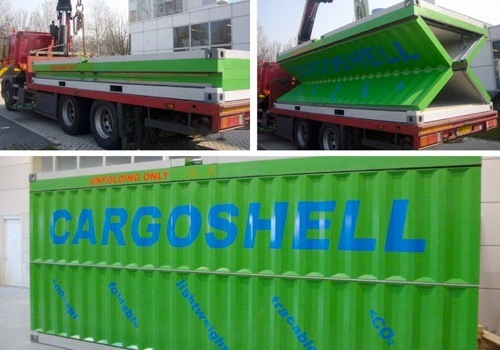 The collapsible shipping container..a reality? For as long as I have been in the shipping industry the pursuit of the collapsible shipping container has been on. Numerous designs and prototypes have been tried and they haven't really proved practical or financially viable. Well this latest design from a Dutch designer called Cargoshell might just be the one that will make the break through. Why make a shipping container collapsible anyway? 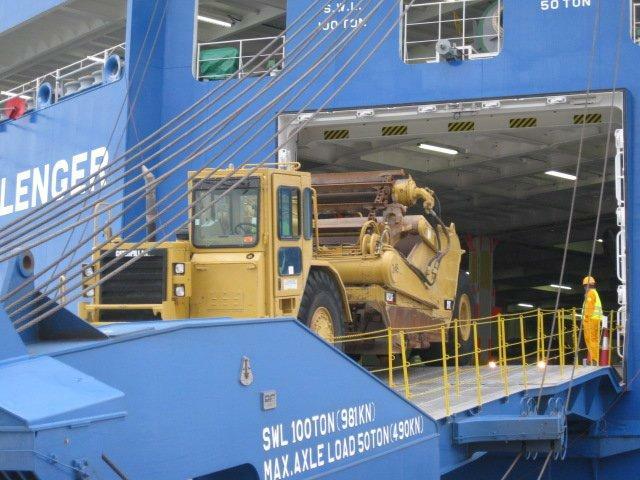 Approximately 90% of all cargo shipped in the world these days is done so by containerisation. 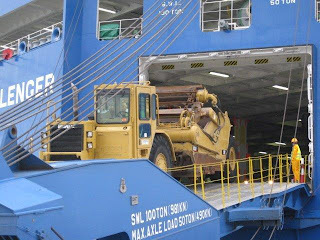 There is estimated to be about 200 million shipments per annum. The pinch point on the current standard design is the costs involved to deliver and return the empty containers or frequently re-position them back to export markets. The costs to do this, regardless of the mode of transport, are virtually the same as moving a full container. So if you can find a way to collapse a container for the empty transport then you can stack them together and return or deliver a few for the same cost of returning one. Cargoshell accomplishes this with a massive volume reduction of 75% and a weight reduction per container of 25% by using composites rather than stell for their construction! With the world chasing carbon emission reductions, a lighter container equates to significant savings on fuel and therefore emissions. The other pinch point of past collapsable container designs has been the ease at which you physically erect them and fold them down. Once again, Cargoshell has come up with a design that can be easily errected in about 30 seconds. To see this in action click here. For this project to ultimately succeed it will depend on the scale of adoption of this design globally. This is because currently the cost of a Cargoshell container to manufacture in fewer quantities is about three times that of a steel container. So it might take a while for shipping lines to gain reductions in their operating cost and then hopefully pass that on. If I was in the business of operating empty container parks then I'd be worried. This innovation could lead to a 75% revenue hit.